Weightlifting chains: what’s the point? 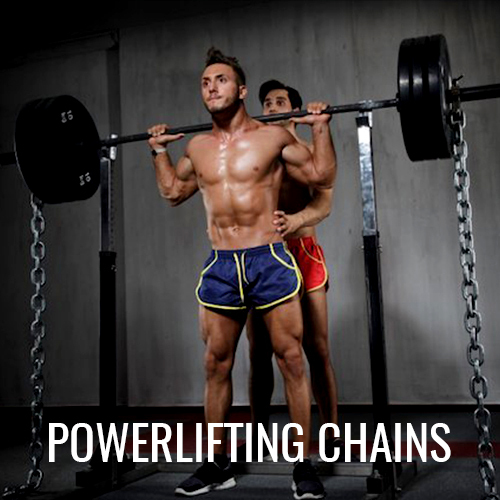 Who can benefit from using weightlifting chains? What do I start with? Today, besides the huge variety of traditional types of weights and methods of their application, more and more new equipment and techniques keep attracting our attention. Barbells and dumbbells are fine – they are tried and tested in many sports: from bodybuilding and powerlifting to CrossFit and weightlifting. But can we benefit from abandoning such effective and potentially useful tools? Let’s talk about weightlifting chains. Apparently, the idea that human muscles grow better when the body has to struggle under the progressing load was discovered long before any of the mentioned disciplines appeared. But as a fully-fledged method, weightlifting chains have been introduced into all sorts of training systems just recently. Constant weight progression. For athletes of power sports where continuously increasing loads are mandatory for effective training, weightlifting chains can be used like any other tool in a routine. The adaptation period is very short. It’s easy to get used to weightlifting chains. After starting practicing with them, they will become a part of your regular workout rig in no time. You will immediately regret that you have not tried them earlier. Diversifying routine. As you keep training following the same pattern day after day, your body adapts to a well-established set of exercises. Therefore, it is well known that even a minor change in your routine can give a new impetus to progress, stress your muscles and stimulate their growth. But despite all of the apparent diversity, the selection of training tools and equipment is somewhat limited. Weightlifting chains can not only complement your inventory but also offer you a whole new approach to training. No doubt, powerlifting chains can be very useful to powerlifting specialists for whom the diversity in training methods is crucial. 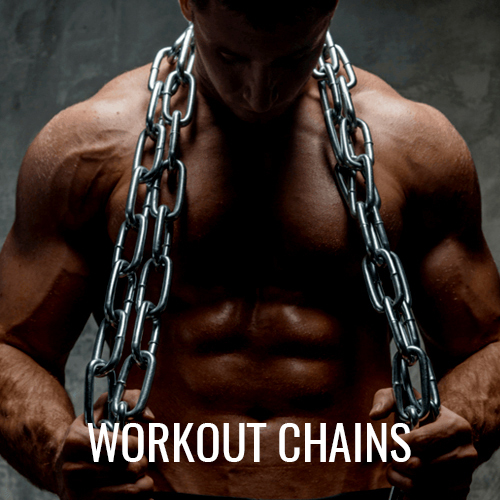 For those who are sick of monotony, chains can help to make the process of bench press seem fresh while making squats and deadlifts even more challenging, exciting, and motivating. Always at the forefront of innovations in the field of power sports, bodybuilders utilize the most effective techniques of training. It is no wonder that they were among pioneers who discover the weightlifting chains, try them out, and keep improving the methods of their use. CrossFit athletes are known as the greatest masters of training diversity who use heavy, variable loads. Probably that is the reason why their routines included exercises with workout chains nearly from the moment they appeared. After all, the use of chains fully corresponds with the very philosophy of this trend in sports. Since weightlifting is an Olympic discipline, it is no surprise that athletes of this sport are primarily focused on results. In high-performance sports, any tool which able to ensure the efficiency of training is always met with enthusiasm. 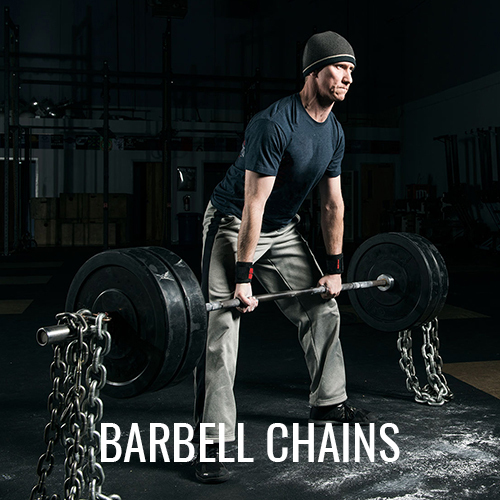 The same goes for barbell chains. Incorporating them into a training routine can benefit even highly skilled and experienced athletes. You may wonder if there is any kind of guide helping you to determine the weight of chains needed. Well, here is the table for reference. Note that all numbers there are estimated and may be adjusted depending on your experience and overall strength. But basically, it is suitable for any kind of exercise. Please notice that all numbers here are calculated based on your own body weight.